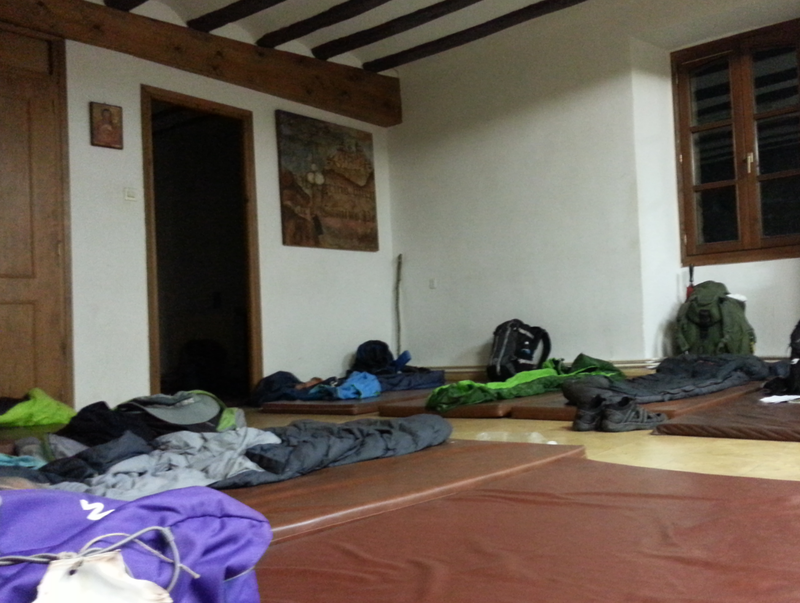 As I started this post, I was in Granon getting cosy in my sleeping bag wearing my clothes for the next day. They also happened to be my clothes from the day just done. 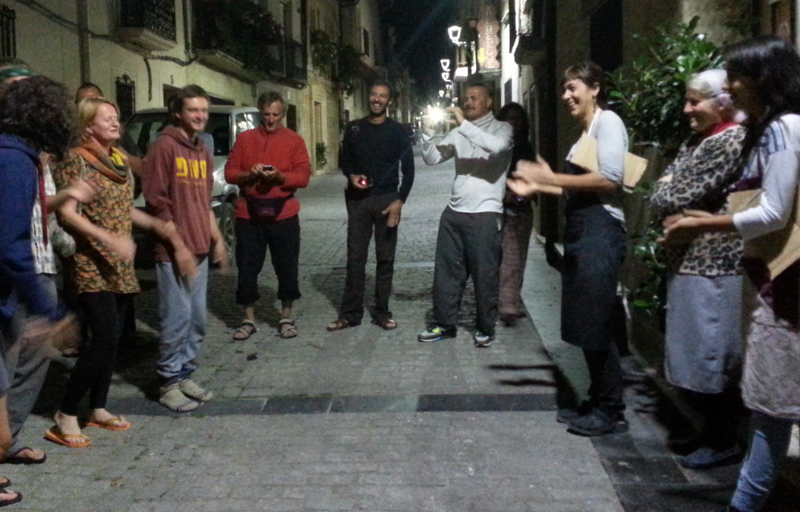 A night at this albergue is known to many as a highlight of the camino – the wonderful volunteer hospitaleros (a couple from California right now, who really are very kind), the communal dinner and cleanup, singing songs in several languages, taking food to be cooked in the bakery oven across the street, having reflection time and sharing thoughts while a candle is passed among pilgrims in the church, everyone sleeping on mats on the floor, breakfast together in the morning. This is a very moving experience for many people. I have read it described as an intimate magical experience. This is all wonderful. But, you know, it is just not me! Thirty new best friends is too many at once. Those readers who know me will know that I don’t respond well in structured group sharing situations! As I always told my mother (mainly to perplex her) during our endless philosophical and religious discussions, I am just not a very spiritual person. My spirit is more of a loner or an observer. In that way I was quite content with Granon. I just can’t rave about it. I planned to walk to Belorado, about 18 km. Got there, had lunch and decided to go further to get a head start on what would otherwise be a very tough day tomorrow. So, going strong, I even strode past Tosantos. All very good, but the next two towns had no open albergues. So, by the time I reached Villafranca Montes de Oca, I had walked 28 km. 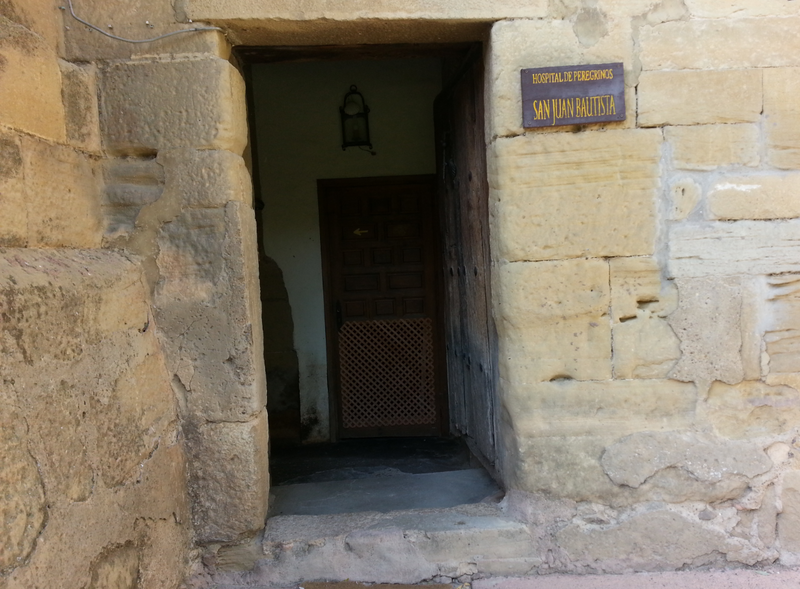 In Villafranca, I had heard about this place where the owner of San Anton Abad had added an albergue to a nice hotel. Some signs in advance had advertised beds starting at €5. That concerned me since I was hoping for a slightly higher end albergue. I trudged determinedly through the town to find this historic place and walked into the lovely hotel. “Hotel or albergue?” The receptionist asked. 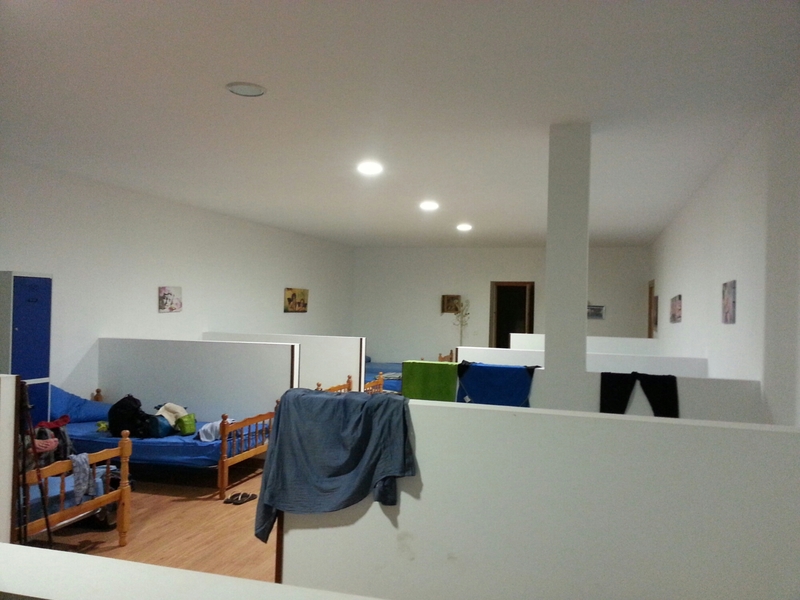 “Bottom beds, without bunks, and with partitions, are €10. Bunks are €5.” She said. “€10 is fine” I immediately said! She led me out the back door of the nice hotel, to the cheaper pilgrim accommodation. I am in a big room full of about 30 beds but only 3 other people. I had delicious G&Ts and dinner with two women – an Aussie and a German – who have become fast friends since they met a week ago. 16 km to Ages. My new friends went on to the next town but I didn’t want to risk closed albergues again. I walked up and down the only street here, trying to pick from several albergues. Some acquaintances at a cafe had chosen one, based on being only €5. As a big spender, I deliberately chose the most expensive I could see, at €9. 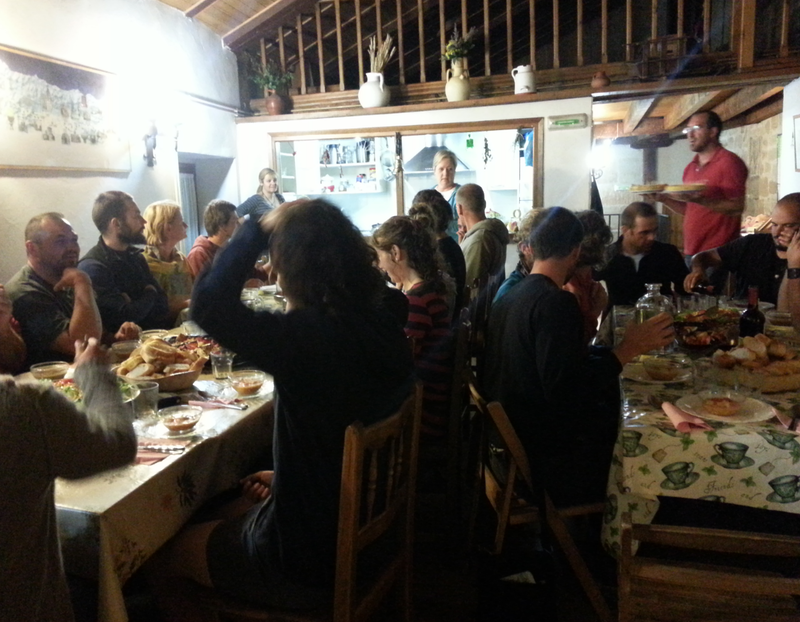 El Pajar de Ages has the usual rooms of bunks, but better than usual bathrooms – several with toilet, sink and shower all self-contained. I’m outside in the sun with my foot in hot salt water and a cold beer at hand. The weather has been unusually summer-like. I think I would enjoy the walking, but the socializing might be too much for me. I suppose I could claim a Camino vow of silence to put a veneer of spirituality on my asocial preferences. It’s easy enough to avoid but for some reason I am still trying to make myself into a more social being. Perhaps my Camino lesson will be to abandon that!